Is it normal to pretend you understand? Lower level: You still have a lot to learn, so don't be surprised if you don't understand. Keep studying. Have conversations with sympathetic listeners. Higher level: This is the stage where you need to get used to the vocabulary of everyday life, especially if you've been in “study mode” for a long time. Speak as much as possible, and focus on the situation/conversation, not the language. Record your conversations and analyse them later. Good morning, everybody. Welcome back to the podcast. It's a lovely day here in the UK, hope it's equally nice wherever you are in the world. Today we've got, I think, one of the most authentic questions we've ever had on the podcast. I couldn't stop smiling when I was listening to it. You will listen to this and nod along and think, “Oh my God, that is everything I've been thinking forever, since I've been learning languages”. It's great. Before we get to that, I'd like to thank the sponsors of the show. 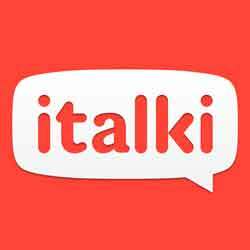 If you want to do more speaking, which is important in language learning, but you don't know where to find a teacher or person to speak to, then Italki is the place where you should go. You can get a free lesson by going to IwillTeachYouALanguage.com/freelesson. Now, let's hear this wonderful question from Gabrielle. Hi, Olly, my name is Gabrielle, and I'm learning Korean. My level is intermediate right now. I have regular conversations in Korean and I can understand quite a bit and respond well, but when I can't understand, even though once in a while I ask the other person to explain a word or write down what they mean or what they're saying, other times I'll just not ask and just nod and smile and act like I understand, because I'm afraid that if I'm constantly stopping the other person and asking what everything means, my confidence will drop drastically, then everything they say from then on will just be noise and it will take a while for me to recover from that. A lot of it's pride, I would say, and wanting to look good in front of native speakers and some of it's just that I just want to keep the conversation flowing, I don't want to constantly have to stop and ask what the other person means. I'm wondering if there's a better way to deal with this, and if you've been in the same situation, how did you get past that listening comprehension struggle? Thanks. Gabrielle, first of all, I want to thank you for being so open and honest, because it's really important for everybody listening. I always try to be as open and honest myself about the struggles that I go through in my language learning. You may have heard an episode recently when I talked about a language exchange that went really wrong. I think when people hear you articulate the struggles you go through in conversations in such open and honest terms, I think it gives a lot of people real solidarity and helps them to feel that actually the things that they're going through are not unique. They're not the only ones struggling with these things. Really the first thing to say with this particular question you're asking is it's completely normal and there's absolutely nothing wrong with it. Korean is a difficult language, it's one of the world's hardest languages for native English speakers. You are at an intermediate level, you can already have conversations. Don't forget to just stop and congratulate yourself for getting that far. Most people never get that far, so it's absolutely fantastic. One of the questions towards the end of your question was if I've been through this before, and the answer is every single time I have a conversation in any language at some point. It makes sense, you can't expect yourself to understand everything that's being said. You can't hold yourself to that standard. Yet, I think you know this, because when you first start and you start having those first kind of tentative conversations in Korean, you were probably super happy when you just understood a few words. You might not remember that feeling anymore, but for as long as you are learning Korean, there will be things that you don't understand. That's the reality. The more advanced you get, the more you have heightened awareness, or the more you realise all the things you don't know. It goes on and on and on. Part of my answer to this really involves thinking about it from a mindset perspective. What's the right mindset that you need? The other element of it is what to expect and how to move forward. So, where to begin? First of all, is it normal to pretend that you understand when you don't? Yes, I do it all the time and it's essential. Obviously over time that could become a little bit less. As you get better, you want to understand more and more, but the reality is you don't have to understand everything that's going on. I think you can actually get through a conversation pretty well only understanding half of what's being said. Keeping the conversation going is key, because it's in having those conversations that you improve. That's the source of your learning and the source of your improvement, it's in the act of holding a conversation. For every second that the conversation keeps going, you get that extra bit of exposure, that extra opportunity to learn, that extra opportunity to increase your own fluency. I know it kind of feels a bit disingenuous to kind of nod and say, “Oh, yes, I understand”, whereas in fact you don't. Don't confuse not even understanding one bit or one sentence with not understanding or following the main thrust of the conversation. If you're having a conversation about cake and how much you enjoy eating cake, but you don't understand the particular ingredients that this person is telling you that they're putting in their cake, who cares? It doesn't matter. There's lots of kind of strategies that you can use to get through that, but it starts with you accepting that it doesn't matter if you don't understand a bit here and there. You can do things like, if you don't understand something that's being said, you can kind of take the conversation off in a slightly different direction. You can make a general point about the topic, you can react to what the other person is saying by telling an anecdote or story of your own, you can ask questions of the other person. Generally, take control of the conversation. I think one of the things that we tend to do when we are still learning a language, we tend to be very submissive, and we tend to be very reactive to what the other person is saying. They are the native speakers, so whatever they say, we have to kind of smile and say, “Yes, okay”. Don't forget a conversation takes place between two or more people. You can steer the conversation as much as you want and so often taking control of that conversation and reasserting yourself in it is the best way to get through something like that. The other person will respect you for it, and they will get a clearer picture of your actual ability to speak. If you are asking questions, making points, saying things, telling stories, that's the best way for you to demonstrate that you speak the language, and that's going to help keep the conversation going. The bigger picture point is that the way to start to understand more and to stop having these kind of, “Oh, my God, I don't understand” moments is to keep improving your level. We've talked about listening comprehension a ton on the podcast already, so there are lots of back episodes you can go and listen to for my thoughts on that. The thing is that you need to keep having these conversations. That's crucial, because you're already at a fantastic point with your Korean. The way to keep improving is by having more of those conversations. My main advice would be this; when I think about my process of learning Japanese, which is quite similar to Korean, I kind of went through this long, slow, painful process of not understanding very much to eventually understanding enough to be able to have enjoyable conversations and chat with people without having any particular problems. The number one thing that made that possible, for me, was starting to use Japanese to make friends in social situations, because when someone cares about you, or wants to be friends with you, or really wants to communicate with you, they're not going to be so harsh on you when you don't understand something. They're much more likely to very willingly repeat things or speak more slowly, and you have a greater interest than simply the linguistic one. It's about the friendship, it's about the communication. As soon as you can get to a point where the language is secondary and the relationship with the person is primary, that's when you start to stop worrying so much. When you stop worrying so much about the language, that's when you really learn. It's one of those infuriating things to hear. When you hear this, you're probably kind of thinking, “Olly, what are you talking about? This is not practical advice”. That may be so, but it is very, very true. You often see people say things like the key to listening is to stop trying. I think that's kind of what's behind this way of thinking. The more you relax and use the language for genuine purposes, the more your brain opens up. It starts to receive and understand messages more easily and more readily, because you're relaxed, you're reading the other person's body language. All of these things kind of conspire to help you understand. The way this really relates to your question, Gabrielle, is that you really must find ways not to worry. It's all about time, assistance and a positive attitude. As infuriating as that must be to hear, that's what it's all about. The best way to stop worrying is by really removing the language as the main focus of these conversations and starting to use the language for other purposes, to make friends and so on. Let's widen out the discussion a little bit to different levels. This is how I look at the problem at a high level and a lower level. When you're at a lower level in the language, and for you Gabrielle, you're probably out of this stage now, you've still got so much to learn. You simply don't know enough words or grammar yet, so it's normal if you don't understand. Don't let it stress you. It would be weirder if you did understand understand everything, so don't be surprised if you don't understand, you've simply got to keep studying. The best way to do that is by having conversations with sympathetic listeners which means, in most cases, a tutor or a language exchange partner. At the lower level, you've just got to get familiar with conversations, familiar with the process of speaking the language, and then keep it up for as long as possible. At a higher level, and this is the stage that you're entering now Gabrielle, this is the stage where you need to get used to the vocabulary of every day life. This is especially true if you've been in study mode for a long time. One of the problems with going out and starting to speak a lot, what you find is that people don't talk in the same way as you've been led to believe from your textbooks. When you realise this, it's clear that what you've got to do is just spend as much time speaking with people, because that's the way that you're going to learn these words and phrases that real people use in everyday life. What's key is you kind of move through the intermediate level towards a more advanced stage is to use as much of your time as possible listening to real, authentic language. This is where conversation partners might start becoming slightly less useful perhaps. It's where studying in the traditional way becomes slightly less useful, and where you need to just listen to the way real people speak. This is the point at which, for example, watching TV starts to become quite useful, listening to podcasts, having real conversations with people as we've been saying. You need to focus as much as possible on real daily language. One really useful thing you can do is to start recording your conversations. As you have conversations with people, get out your iPhone and use the voice recorder app and just record it. Listen back to it later and just focus on the things that people actually say, all the little words, the slang, the ums and the ahs and all those things. That's what it means to really understand real language. Try to bear in mind that the process you're going through at this higher stage is not so much learning lots and lots of new academic words, but it's more just familiarising yourself with the words that real people use to talk in a normal, casual way. The other super useful thing you can do is to get recordings of native speakers talking that come with a transcript so you can listen along, because that is the fastest way to identify those little bits of speech that people use on a daily basis. I think I've mentioned before I'm making this for Cantonese right now, so I've got this big library of friends of mine just having conversations I've transcribed word for word. I've been sort of sat at home in the morning listening to those videos and following along with the transcript and it's become a revolution for me, not because I'm learning a ton of new words – which I am – but it's more because I actually realise I understand much more than I think, it's just that because of the way people speak quickly and the way the words and pronunciation shift in fast speech, I just didn't understand, I didn't pick up on those words. As soon as you see the transcript, you realise, “Oh, they're saying that. I know what that means”. It's a combination of learning new words, but also getting used to understanding fast speech. I hope that's helpful, Gabrielle. Again, thank you for your question and for being so honest and open, you've got a very bright future, I'm sure. Please come to the show notes and let me know if I have kind of answered your question, whether that's been helpful, or maybe I've missed something, or the answer is not quite what you were looking for. Likewise, if you have any tips for Gabrielle yourself, maybe you'd like to show her a bit of solidarity and let her know that you go through the same thing, you can find the show notes at IWillTeachYouALanguage.com/episode175. If you'd like to ask me a question, you can go to IWillTeachYouALanguage.com/ask to do that, I'd also really appreciate a review on iTunes if you've been enjoying the podcast. Please leave me a star rating and a review, it would mean a lot to me. You can do that by going to iTunes or Stitcher and searching for the podcast, you'll find it very easily, not many people have long titles like I do. At the end of every episode, I like to leave you with a resource of some kind on the topic of the show. I made a video a while back as part of my core study sequences series and it's all about listening comprehension. So, if you'd like to get an insight into the kind of thing I do to improve my listening comprehension, then I've got a great video for you to watch there. Again, you can find that at the show notes, IWillTeachYouALanguage.com/episode175. Thank you so much for listening, and I'll see you back in the next episode of the podcast.